Our parish hall has a labyrinth, for the ancient spiritual practice of sacred, prayerful walking. The design is a full replica of the medieval pattern in Chartres Cathedral in France. 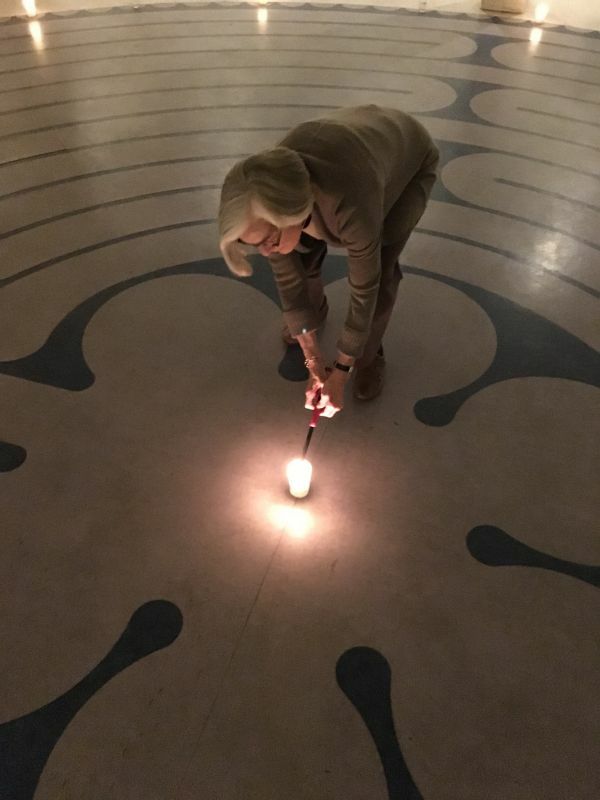 The experience of the prayerful path of the labyrinth can be described in many ways - a walking meditation, a crucible of change, a watering hole for the spirit and a mirror of the soul. There are three stages to the walk: releasing on the way in, receiving in the center and returning when you follow the same path back out of the labyrinth. Labyrinth walks for the parish are held during Holy Week and at other special times. Private labyrinth walks can also be set up depending on availability of the Parish Hall. Email the office to schedule a time.